It 'a story that goes a long way that the Finesso, a history of sacrifices, become icons of people, sweat and dust breathed limelight by those who worked there, with horses and chariots, the grandchildren of the founder playing in stables, history of growth at war and destruction during the bombing, hopes, reconstruction and development over the years has allowed this reality to establish itself as a historical image of a company almost reached the fourth generation symbol of continuity of growth and innovation. In the 30s the Finesso’s family consisted of seven brothers who were taking care of the transportation of various materials using a few horse-drawn carriages, the so-called Carioti "or carters". Angelo Finesso, the founder of the company, decided later to separate from his brothers and in 1933 bought a plot of 5000 square meters in the west area of Padua where he built a warehouse for the storage of goods with an attached stables for horses and housing for his family. Here he began the activity and also raised his grandchildren, the current owners of the company. 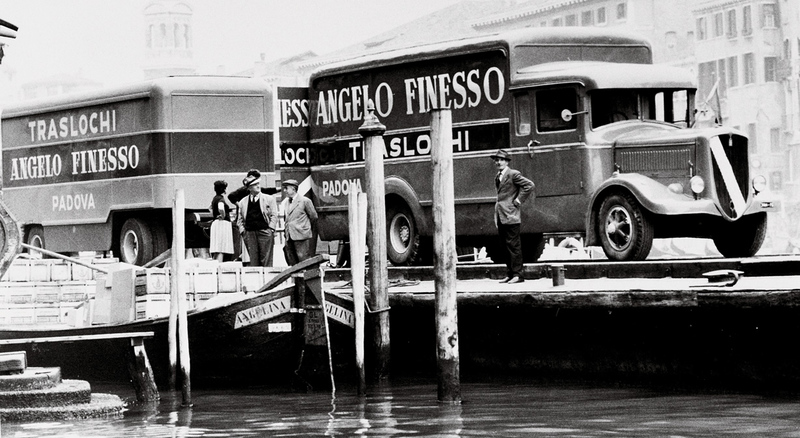 At the time, the truck service was severely set back and because of the severe limitations of infrastructure and services that were held in the city by horse-drawn carriages, the famous horses of Finesso allowed the company to carry building materials on behalf of primary Paduan companies and distribute the assets of manufacturing companies in the area. In addition, the company became the concessionaire of the state railways for the distribution of goods that arrived in Padua with trains. Over the years, the technology significantly improved the transport and in the 60s it was possible to use trucks that were overcoming distances more quickly. 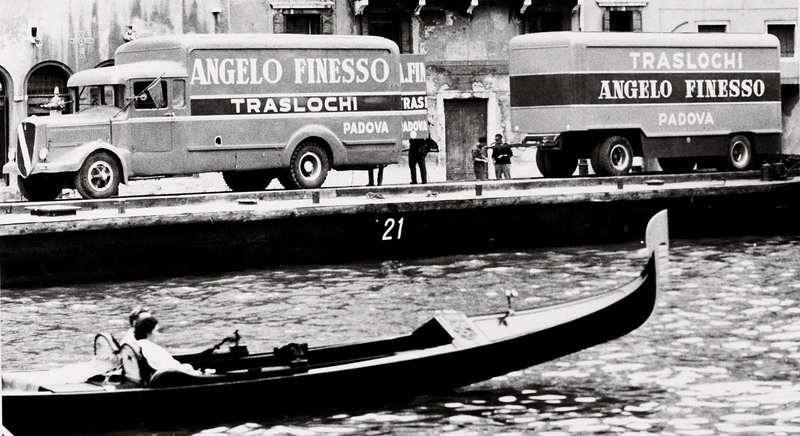 Even Finesso, therefore, had to adapt to these changes and began to use trucks for the service, expanding distribution throughout Italy and using the train service for the longer routes. In addition to the distribution of goods, in those years the goods storage service on behalf of clients was gaining strength, what later would become "logistics." 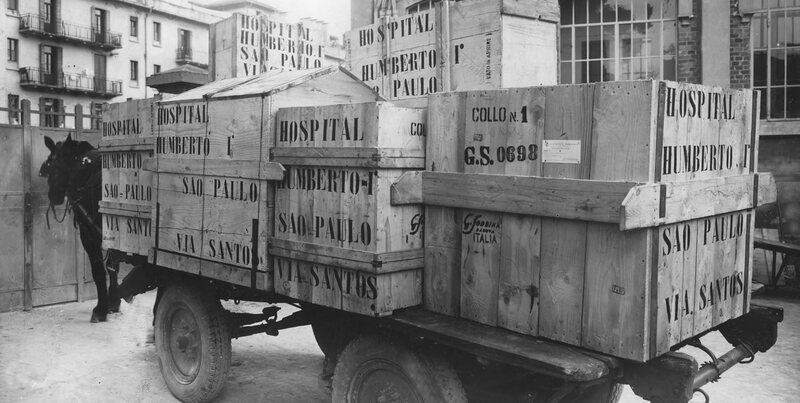 In the time the removal service was abandoned and the company began to specialize exclusively in the transportation and storage of food products, wines, liquors and other goods. In the 70s the company has significantly enhanced its structure in the Triveneto and then over the 80’s it opened branches in Vicenza, Treviso and Pordenone. To be even more effective on the national territory, in the 90s Finesso formed the branches of Rome, Florence, Verona, Milan, and then Bologna in 2000. In 2013 the business has further evolved with the acquisition of a subsidiary in Bergamo and in 2014 and - to expand the presence in the Friuli area – a new branch was opened in Udine.